Heat oven to 375°F. Spray 24 miniature muffin cups with cooking spray. Unroll dough onto work surface, and reshape into 13x7 1/2-inch rectangle. (If using crescent dinner rolls, press seams together.) 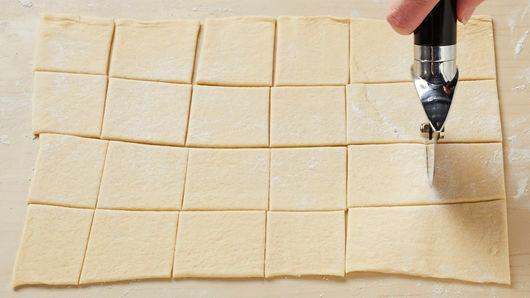 With pizza cutter or sharp knife, cut dough into 6 rows by 4 rows to make 24 squares. 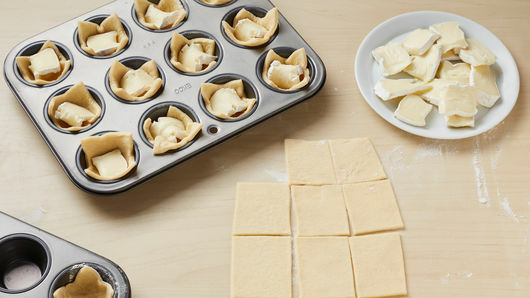 Press 1 dough square into each miniature muffin cup. Cut cheese into 24 thin wedges. 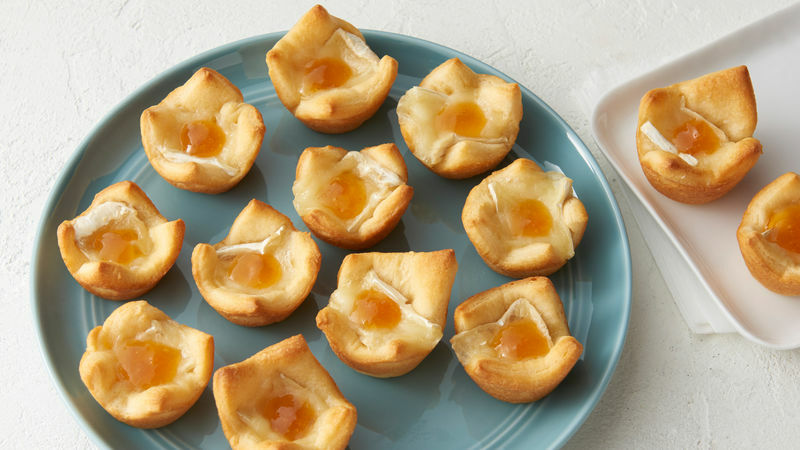 Place one piece of cheese in bottom of each dough-lined cup. Fold cheese pieces in half to fit inside cups, if necessary. Bake 9 to 12 minutes or until edges are golden brown. Cool 3 minutes; use metal spatula to loosen edges, and remove from pan. Spoon 1/4 teaspoon preserves on top of each cup to serve. Garnish with a sliced almond, if desired. 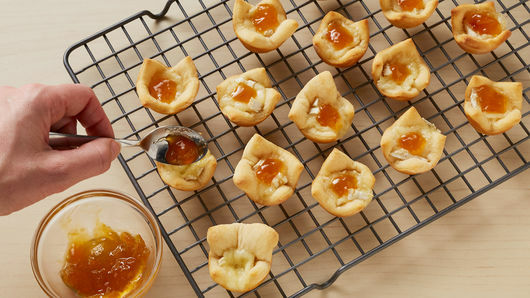 For extra apricot flavor, increase to 1/4 cup apricot preserves.